A new survey from more! 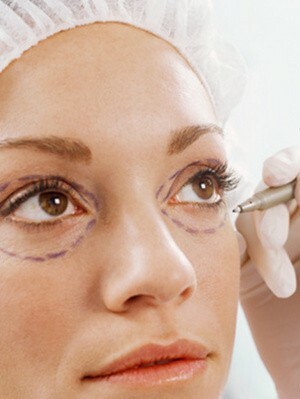 magazine shows that 72 per cent of women aged 18-30 want to have cosmetic surgery, with 49 per cent planning to go under the knife in the near future. The shocking results indicate that young women are obsessed with getting the perfect face and body, with breast enhancements (36 per cent), liposuction (34 per cent), nose jobs (14 per cent), breast reductions (6 per cent) and tummy tucks (6 per cent) being the most popular procedures. And it seems that money is no object, with 35 percent of women saying that they would pay between £2,000 and £4,000, while 21 per cent would splash out £4,000 t £6,000 and 18 per cent would spend £1,000. More than a third (36 per cent) would take out a loan to pay for their new look, while 35 per cent would borrow money from family and friends. The magazine surveyed 1,000 readers and found that more than half wanted to have cosmetic surgery because they’re unhappy with the way they look, while 35 per cent said that surgery would make them more confident. More than six in ten (61 per cent) think they have a right to cosmetic procedures if they feel insecure about the way they look, and more than a third (35 per cent) think that cosmetic surgery should be available for free on the NHS. It’s clear that surgery has lost its stigma, as just 31 per cent of readers said that they’d keep it a secret, and 55 per cent think that the results are usually obvious to other people. And it seems that women aren’t averse to the men in their life having a nip or a tuck: more than three quarters of women (79 per cent) say they would be supportive of their boyfriend or husband if he wanted to have surgery. Commenting on the findings, Chantelle Horton, editor of more! magazine said: "The results show a worrying trend towards young women becoming obsessed with creating the ‘perfect’ body image. "It’s clear that young women see surgery as a normal, acceptable and desirable way to correct their perceived imperfections and they genuinely believe this would make them happier. "These findings show that celebrities like Katie Price, Heidi Montag and Chloe Sims, who have all spoken openly about going under the knife, have normalized surgery and made it seem a safe and aspirational thing to do."